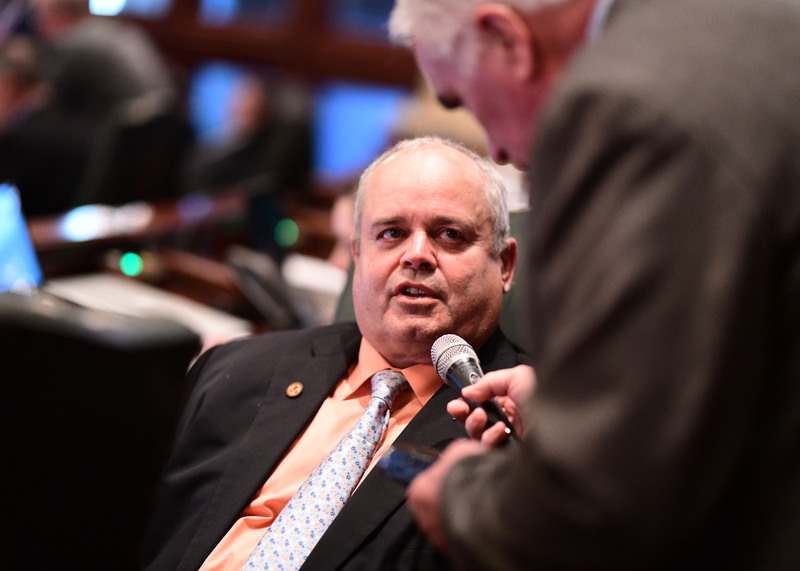 State Representative Dan Swanson passed House Bill 889 on March 28, mandating insurance coverage for long-term antibiotic therapy for a person with a tick-borne disease. Swanson passed legislation last year named the “Lauryn Russell Lyme Disease Prevention & Protection Law” —named after a Mercer County Jr. High School student. Swanson, Lauryn Russell and Lauryn’s mother, Jennifer, went through an emotional rollercoaster last year in getting the bill through the legislative process, being served an Amendatory Veto by Governor Bruce Rauner which gutted key elements of the legislation, and then successfully leading a unanimous veto override in both chambers to enact the original legislation into law. Advocates for Lyme Disease sufferers say the current recommended treatment of the disease, 10 to 21 days of antibiotics, is insufficient for people with acute or long-term levels of the disease. House Bill 889 passed the Illinois House by a vote of 106-0-0. It will now move on the Illinois Senate.